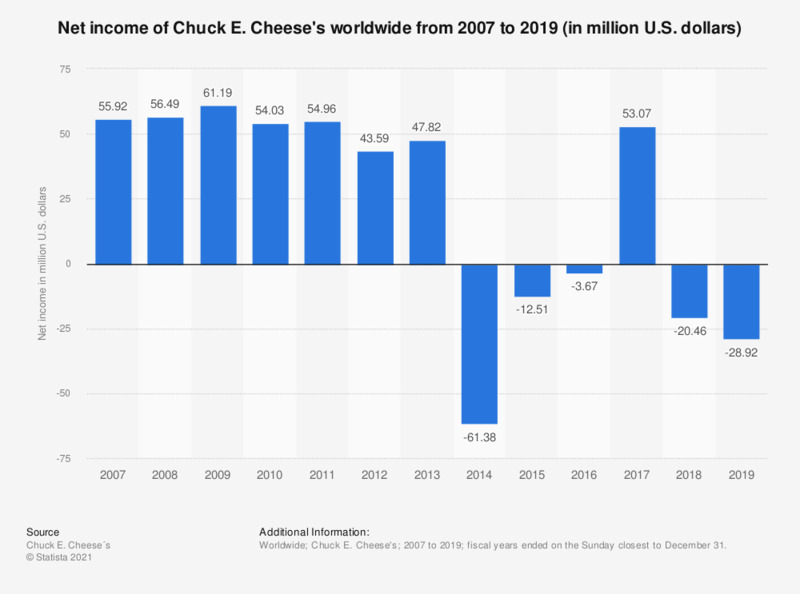 This statistic shows the net income of Chuck E. Cheese's worldwide from 2007 to 2017. Family-style restaurant chain Chuck E. Cheese's made a net income of approximately 53.07 million U.S. dollars in 2017.
for fiscal year ending on the Sunday closest to December 31. Figures have been rounded. The figures from 2007 to 2016 come from earlier financial releases. CEC Entertainment Inc. was acquired by Apollo Global Management LLC in February 2014.